Villa Tortuga is a luxurious country villa with stunning views and fabulous landscaped gardens. A perfect location to enjoy a peaceful villa holiday in an idyllic rural setting yet only 2 km drive away from the fabulous restaurants, bars and amenities of Santa Eularia. 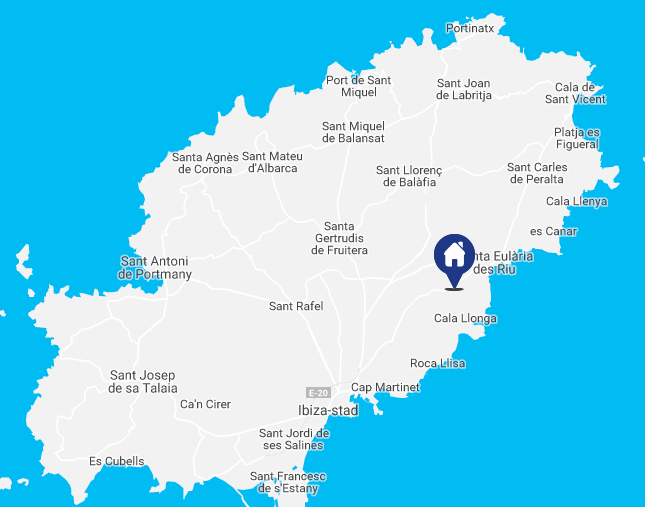 Close to beautiful Ibiza beaches and a perfect location to explore the bohemian north with the local markets and culture. This four bedroom and four bathroom finca (Ibiza country house) has been lovingly renovated and restored to a very high standard, retaining the original features but with all the modern fixtures and fittings necessary to make a villa comfortable and complete. The stunning 10m kidney shaped swimming pool with lovely lawned gardens make this the ideal retreat for families or groups of any age.